Okay, and I’m back! Like I said in my last post instead of trying to catch up and post separately on every book I’ve recently read, I’m just going to try and smush them all in this post. Also, I read a lot of books and I may be missing one or two, whatev. GoodReads description: When an eccentric millionaire dies mysteriously, sixteen very unlikely people are gathered together for the reading of the will...and what a will it is! After purchasing this book I learned that a lot of people read this in grade school and loved it. As the description mentions, a wealthy man dies and 16 people are chosen as potential heirs, if they can solve the mystery of who killed the millionaire. 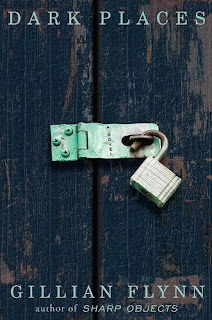 Throughout the book the readers are given the same clues as the characters and are encouraged to join in solving the puzzle. Sounds fun right? Not so much. I can fully understand why children would become intrigued and enamored with this book and as a result remember it fondly as an adult. However, for me this was not one of the books you can read for the first time as an adult and enjoy. Bottom line: Skip it and when you start having kids make them read it. On a side note, my future kids better be readers or I will hate them and judge them harshly. 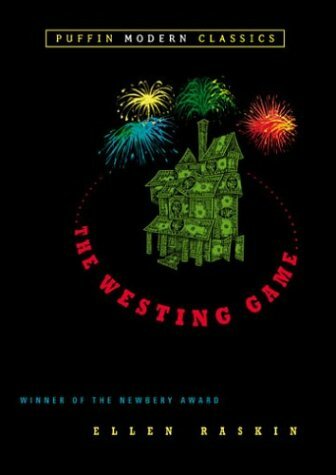 GoodReads description: At its center is the deaf-mute John Singer, who becomes the confidant for various types of misfits in a Georgia mill town during the 1930s. Each one yearns for escape from small-town life. When Singer's mute companion goes insane, Singer moves into the Kelly house, where Mick Kelly, the book's heroine (loosely based on McCullers), finds solace in her music. 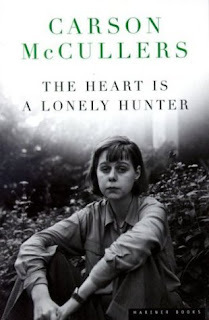 Brilliantly attuned to the spiritual isolation that underlies the human condition, and with a deft sense for racial tensions in the South, McCullers spins a haunting, unforgettable story that gives voice to the rejected, the forgotten, and the mistreated--and, through Mick Kelly, to the quiet, intensely personal search for beauty. This is another one of those books I bought years ago and has been sitting on my shelf ever since. To be honest I wasn’t particularly fond of it. I think that it’s one of those books that either touches you deeply and you fall for it or you don’t. It was incredibly sad and it should have touched my heart but it just didn’t. Maybe something is wrong with my heart. Bottom Line: This book may be right for you; thousands of other people adore it. But if you’re not a reader of many books I wouldn’t take a chance on this one when there are so many other books that are sure to please. GoodReads description: All decent parents want to do what's best for their children. 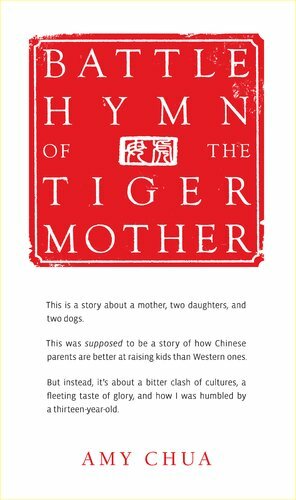 What Battle Hymn of the Tiger Mother reveals is that the Chinese just have a totally different idea of how to do that. Western parents try to respect their children's individuality, encouraging them to pursue their true passions and providing a nurturing environment. The Chinese believe that the best way to protect your children is by preparing them for the future and arming them with skills, strong work habits, and inner confidence. Battle Hymn of the Tiger Mother chronicles Chua's iron-willed decision to raise her daughters, Sophia and Lulu, her way-the Chinese way-and the remarkable results her choice inspires. This book was April’s book club pick and man alive is the mom crazy! The book is a sort of memoir by Chua explaining her parenting style, which was crazy strict. I really enjoyed reading this book though. Some parts were like watching a train wreck (the oldest daughter used to run home from school so she didn’t waste any time that could have been used to practice the piano, how sad is that?) but you can’t argue with the results because her children are obviously smart and talented. What I took away from the book is that parents do need to push their kids to succeed, ie: if they’re having trouble in math give them practice tests, although maybe not 100 like Chua did. You just can’t go to the extreme. Bottom Line: Read it. It was entertaining and offers a glimpse into other people’s cultures. GoodReads description: Libby Day was seven when her mother and two sisters were murdered in “The Satan Sacrifice of Kinnakee, Kansas.” As her family lay dying, little Libby fled their tiny farmhouse into the freezing January snow. She lost some fingers and toes, but she survived–and famously testified that her fifteen-year-old brother, Ben, was the killer. Twenty-five years later, Ben sits in prison, and troubled Libby lives off the dregs of a trust created by well-wishers who’ve long forgotten her. The Kill Club is a macabre secret society obsessed with notorious crimes. When they locate Libby and pump her for details–proof they hope may free Ben–Libby hatches a plan to profit off her tragic history. For a fee, she’ll reconnect with the players from that night and report her findings to the club . . . and maybe she’ll admit her testimony wasn’t so solid after all. Seemingly the same old tired mystery/killer story, however, Flynn takes it above that and writes a smart novel. I was intrigued throughout the book and was not able to guess precisely who dun it or their motive, although I had my suspicions, and I love that in a book. I want to be kept guessing. Bottom line: If you want a quick and suspenseful read give Dark Places a go and you won’t be disappointed. I’m just going to be honest with you guys, I didn’t finish this bloody book. I blame my mother. Living in France, my little sister has a limited selection of books to read from and so she has been forced to scour her employer’s bookshelves. 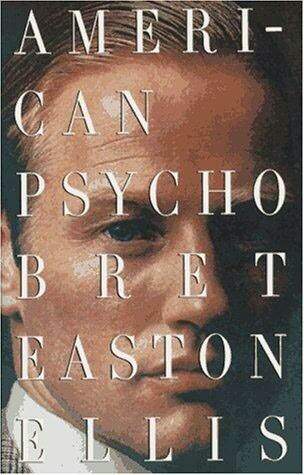 She came across American Psycho and described it to me as disturbing. In a later conversation, my mother mentioned to me that Heather wanted me to read it so that we could discuss it together. So like the wonderful sister I am, I bought and started plowing through this miserable book. Seriously, it is so weird! The entire book is so disjointed, the main character describes every article of clothing anyone wears, the author jumps form one time period to another, andthen there’s the random brutal killings. I don’t even know what to say. Maybe I’ll keep reading it, maybe I won’t. Oh, and it turns out Heather said no such thing. Thanks Mom. And onto the next . . . I am finally caught up! I just finished Fifty Shades of Grey by E.L. James. Scandalous.